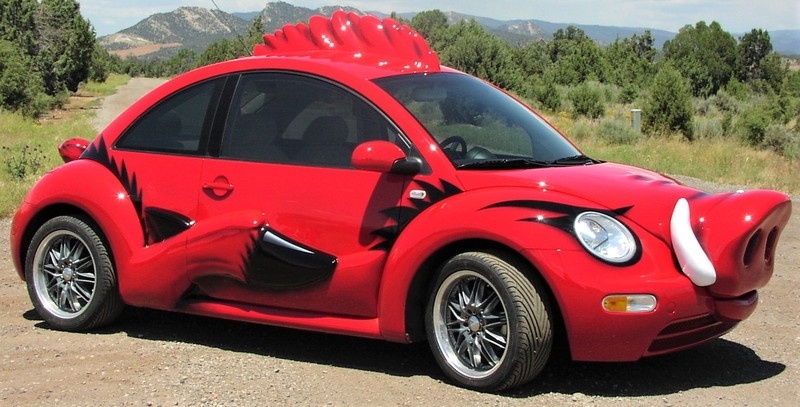 Through a referral, the University of Arkansas contacted us about creating a car in the shape of their mascot, a razorback hog. They wanted to use it during games and also for recruiting purposes. The University provided us with the car and we had to figure out how best to make it into a hog while still keeping it functional and safe to drive. Using an old DARE car, we retrofitted the vehicle with several pieces to make it resemble the U of A mascot. The parts of the razorback hog were sculpted from foam with a fiberglass coating. It was finished with airbrush paint. It was built to last and is still in use today.